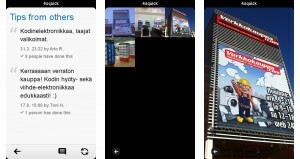 If Gravity is the favorite twitter client for Nokia, we also have our own favorite foursquare client and that’s 4Squick. It’s fast and has simplified yet with stylish Nokia alike UI. Also it’s totally free app that supports MeeGo (N9, N950) and Symbian^3 (N8, X7, E7 etc) devices. 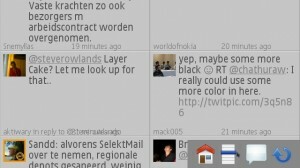 TwimGo is a new twitter client application for Symbian. It is the rip off client from the TwimGo for Maemo that was seen on N900. Thus this app interface and functionalities are almost similar as to the Maemo version. Read more after the break. There are thousands of free apps and games out there but here at Symbian World we pick out the top 10, making it easier for you, right? 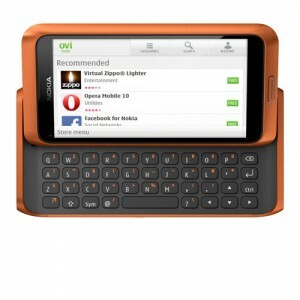 Our lists consists of free games and applications for your Nokia E52 and E55 that both runs on Symbian S60 3rd edition. Most of them can be downloaded in Ovi Store, but we make it easier here as you can direct download some of the apps here.